Gippsland National Parks are many and varied and they are some of the best Victorian National Parks. The Gippsland region of Victoria in Australia is our home. The Gippsland Coast stretches from just east of Melbourne to the New South Wales border. Gippsland is broken up into four sections East, West, South and Central Gippsland. Gippsland’s natural features are diverse from rugged mountains to rolling plains, rainforests, deserted coastlines, alpine regions to thousand-year-old forests. We have spent great times camping, bush walking, fishing and going to the Gippsland beaches with our kids and enjoying some of the best Victorian National Parks that are right on our doorstep! It’s a great place to raise a family with so many outdoor activities available to participate in. Being such a big area National Parks are plenty. Gippsland is home to over 15 Victorian National Parks. Many of these National Parks are popular with locals, day-trippers and international tourists who hire campervans in Australia for their trips. Here we talk our 5 of the best Victorian National Parks in Gippsland. The Prom as it’s affectionately known to Victorians is one of the most popular National Parks in the state. The Prom encompasses the southernmost tip of Australia. The Prom is renowned for its spectacular scenery of native flora, rain forests, and huge granite peaks that rise from the landscape. Bush walking is popular with many day treks and overnight walks possible. The trek to The Wilson Promontory Lighthouse is the most popular. The lighthouse sits on a rocky peninsula that stretches out into the wild waters of Bass Straight. 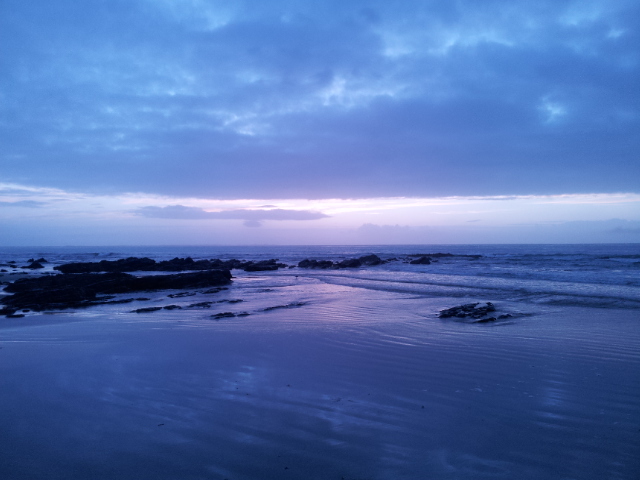 The waters around the prom are alive with a huge variety of marine life with everything from whales to seals. Whales pass the Prom each year on their migration routes. Fishing and camping are popular options for many visitors to the Prom. Wilsons Prom accommodation consists of many self-contained camp sites such as Yanakee, Shallow Inlet, Sandy Point and Tidal River for you to stay at. If you can’t get Wilsons prom accommodation some of these will be the best places to stay near Wilsons Prom. If you are looking at camping at Wilsons prom you are best to get in quick as places fill up fast. Most of these parks are within a stone’s throw from the water and have access to some of the best Gippsland beaches. The Buchan Caves are located on the outskirts of the town they are named after, Buchan. 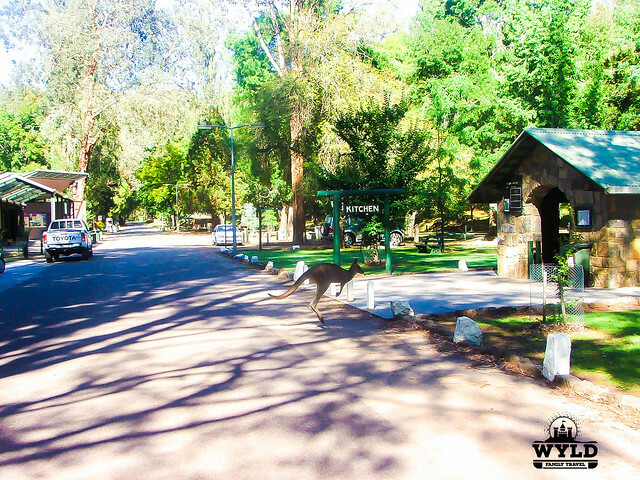 The Buchan Caves reserve consists of a campground, camp kitchen, swimming pool, shop and a national park information centre. There are 2 caves available in the Buchan caves reserve for visitors to tour through. The Royal Cave and the Fairy Cave are the caves located on the Buchan Caves reserve. The caves were formed over many millenniums by underground rivers cutting through the limestone. The formation of the stalactites which are the feature of the caves is created by water seeping through the ground into the caves over millions of years. Wildlife is aplenty in the reserve. If you camp at the Buchan Caves reserve you are likely to encounter kangaroo’s hopping around, koala’s in the tree’s and possums trying to raid your food supply at night! The pool at Buchan Caves is the coldest pool I have ever been in. The water comes straight out of an underground cave. The pool is famous, you can ask anyone about Buchan Caves and sooner or later the conversation will get around to how cold the pool is. Bush walking tracks are popular for short hikes. The Alpine National Park is the largest of all the Victorian National Parks. This park joins up with national parks located in New South Wales and The Australian Capital Territory. These joined parks across three states work to protect most of the Australian Alps. The Alpine National Park encompasses 10 of the 11 highest mountains in Victoria. The park is renowned for diverse mountain landscapes, wild rivers, untouched forests giant exposed escarpments on open plains. A popular way to experience the park is to drive the renowned Great Alpine Road which winds itself through the highest altitude roads in the state offering uncompromising panoramic views of the Victorian Alps. Winter Ski resorts such as Mt Hotham, Dinner Plain fall in the Gippsland region of the park. These resort towns offer downhill, cross country skiing and snowboarding for all skill levels. In the summer months, these small towns become a mecca for bush walking, mountain biking and fly fishing enthusiasts. Cape Conron National Park is located in far East Gippsland near the township of Marlo. The Conron National Park is one of the most remote and wild sections of the Victorian coastline. Untouched and rugged are words that come to mind when describing this part of the coast. The park features the self-guide Cape Conron nature trail for the hikers. Rock pooling swimming and fishing are popular activities for day trippers and campers in the park. Scuba diving and snorkelling are recommended at the west cape beach and salmon rocks. 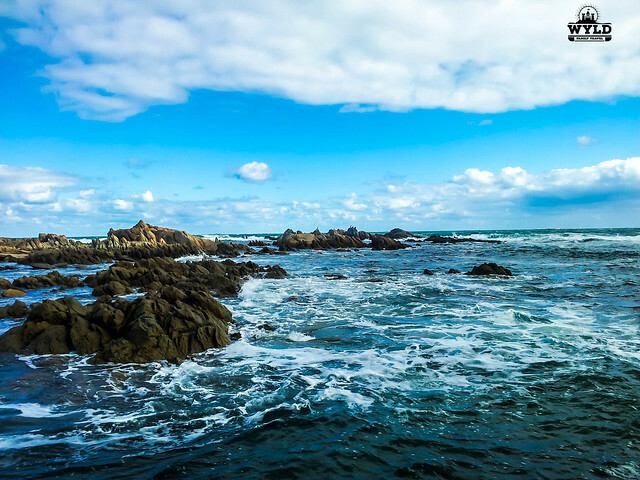 This area is inhabited by seals and a wide variety of sea life that thrive in the bull kelp forests that reside under the water. Camping is available at Cape Conron. The Mitchel River National Park has impressive wilderness and river sceneries. The Mitchell River cuts its way through deep and remote gorges in this park. The river meanders through some of the unique flora and fauna in the state some of which is indigenous to this area only. The best way to see the Mitchel River National Park is via white water rafting where you can experience the tranquil water and demanding rapids that characterise the Mitchel River. It’s recommended that only experienced rafters take the river on (tours are available for the novices). Numerous walking tracks are situated throughout the Mitchel River National Park that takes you through forests of wattle tree and moss-covered rain forests. Fishing for trout in remote area’s of the river is popular. Hunters stalk deer during the season while campers enjoy the tranquillity of the area. The Den of Nargun can be visited which is associated with the home of a beast in Aboriginal culture. Tarra Bulga is a jointly managed National Park in Gippsland. The land where the Tarra Bulga National Park is located was once the land of the native aboriginal Gunaikurnai people. Parks Victoria and the Gunaikurnai people oversee the care and maintenance of the Tarra Bulga National Park which recognises that the Gunaikurnai are connected to the land and speak for the land. 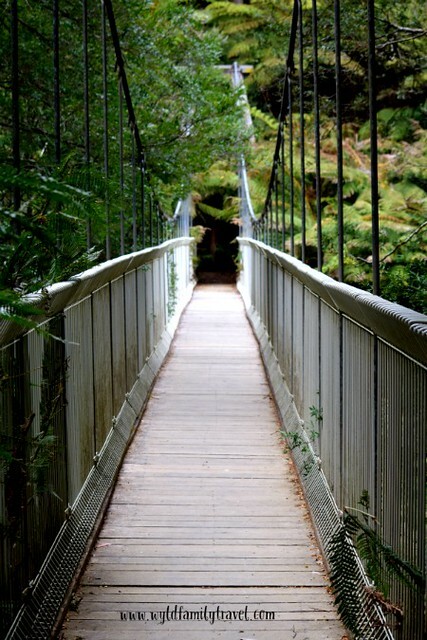 Many easy bush walks are available at the Tarra Bulga National Park to suit all fitness levels. We choose to walk to the magnificent Corrigan’s Bridge. The walk to the bridge is slightly downhill through a canopy of mountain ash trees that are hundred’s of years old, with their huge trunks and ferns as high as double story houses. Corrigan’s Bridge is an amazing sight as it comes into view seemingly floating in mid air amongst the forest. The walk back out from Corrigan’s bridge takes you through Fern Gully where giant ferns surround you in all directions and small streams flow through valley floor seemingly emerging from nowhere. Tarra Bulga has a visitors centre and a bbq and picnic ground for you to enjoy. You will come up close to the many birds that live in the Tarra Bulga National Park while having a picnic. The Gippsland Lakes National Park is close by for all things water and for some great Gippsland beaches. These are some of your favourite Victorian National Parks and we hope you love them too. Raymond Island is one of the best places in Australia to see Koalas. Hope this inspires you all to visit our part of Australia and Gippsland National parks. There is more to Australia than Melbourne, Sydney and the outback! And if you ever do get up this way, we hope you find these two posts from Wyld Family Travel helpful in making your time here the very best. This looks great- wildlife, nature and hiking! So many beautiful parks! I’ve been trying to get to Wilson’s Prom for a while now but I’m going to have to add the others to my list to! Cape Conron looks breathtaking! Yes, I agree that these are fabulous for kids and family trips. Especially, Buchan caves seem to be the dream for my children. Thanks for the article, and will visit one day. How awesome to call this part of the world your home! The natural beauty is outstanding. I hope to visit one day to see this beauty for myself. All these parks are so different but all beautiful in the same time. It’s so cool that kangaroos just jump around freely, I would love to see a real one. That is such a diverse list – my fav – Cape Conron and Tarra Bulga. Wow what a stunning looking place and great photography! Beautiful pictures, love how you captured the wild kangaroo crossing. Gippsland region of Australia is lovely, how lucky to call it home! There’s something about national parks in Australia that are a real draw card for many people. Coast to beautiful bush and rivers – you name it and Australia has it. I’ll add Gippsland onto the list of places to check out!